The editors of SMT Magazine have compiled this list of important, often-used terms and acronyms. We find SMT Magazine to be a tremendous resource. A set of tests performed to determine the acceptability of a PCB. A method for manufacturing PCB conductive patterns via selective deposition of conductive material (copper, solder, etc.) on a substrate. The attraction force between materials of unlike composition. The angle between the squeegee’s face and the stencil plane. An IC designed for a specific function or product. A water-based cleaning methodology which may include the addition of the following chemicals: neutralizers, saponifiers and surfactants. The PCB conductive pattern to produce the photographic master. It can be made at any scale but generally is 3:1 or 4:1. The ratio of the thickness of the PCB to the diameter of its smallest via hole. A via hole with aspect ratio greater than three may be susceptible to cracking. Hardware that automatically analyzes functional or static parameters for performance. It also may be designed to automatically check assemblies for fault isolations or individual components for functional integrity. A mixture of two or more polar and nonpolar solvents that acts as a single solvent (boiling point is lower than that of either of its components) to remove both polar and nonpolar contaminants. An IC package with solder balls that are arranged in a grid pattern and act as the input/output points. A volume PCB test method in which a fixture containing spring-loaded contact probes engages specific points on a board to identify defective parts. A conductive connection between the outer layer of a PCB to an inner layer that does not continue to the opposite side. A large void in the solder connection created by rapid outgassing during the soldering process. An adhesive for bonding individual layers to form a multilayer laminate. An adhesive layer for laminating the separate substrates of a multilayer board. A self-test method for active components in which a built-in test bus is used to access input/output pins. PCBs held together with breakaway tabs to make handling, placement and soldering easier and more efficient. Boards are snapped apart at the end of processing. Errant molten solder that spans two conductors (bridges) to complete an unwanted connection, causing an electrical short. A conductive connection between two or more inner layers of a PCB (i.e., it is invisible from the outer layers). A technique to electrically stress devices to detect possible failures before mounting them in assemblies. A surface mount device lead that is sheared so that the end of the lead contacts the board land pattern. A computer-aided design/manufacturing method for translating circuit designs into actual products. They may assist in performing all steps in artwork generation. The combination of force, adhesion and cohesion that prompts liquids, such as molten solder, to flow upward between closely spaced solid surfaces, e.g., lead (contact) and pad. Holding devices for PCBs and other parts to facilitate handling during component placement, soldering and other processing. Metallized semicircular radial features on the edges of LCCCs that interconnect conducting surfaces. Castellations typically are found on all four edges of a leadless chip carrier. Each lies within the termination area for direct attachment to the land patterns. A generic term for any two-terminal leadless surfacemount passive devices such as resistors and capacitors. Generic term for any component assembly technology in which an unpackaged silicon die is mounted directly on PCB. Connections to the board can be made by wire bonding, tape automated bonding (TAB) or flip chip bonding. A high-density IC packaging process in which the package is slightly larger than the chip (less than 1.5 times the chip area). Causes depletion of ozone layer and scheduled for restricted use by the Environmental Protection Agency. CFCs are used in air conditioning, foam insulation and solvents. A thin layer of metal foil bonded to a substrate to form the conductive PCB pattern. An in-circuit test fixture that permits probing both sides of a board at once. The top probe section is hinged to allow PCB insertion. The rate of material expansion measured in ppm per ºC when the material’s surface temperature is increased. A solder connection exhibiting poor adhesion and a grayish appearance because of insufficient heat, poor fluxing or solder impurities. IC package in which the input and output points are high-temperature solder cylinders or columns arranged in a grid pattern. An adhesive curing method using an inert atmosphere as the heat-transfer medium. A general term referring to condensation heating where the part to be heated is submerged into a hot, relatively oxygen-free vapor. The part, being cooler than the vapor, causes the vapor to condense on the part, transferring its latent heat of vaporization to the part. Also known as vapor phase soldering. A bonding material with metallic powders added to establish electrical conductivity. The paste used on thick film materials to form the circuit pattern, usually containing metal, metal oxide and solvent. A composite PCB consisting of epoxy-glass layers bound to a low thermal expansion core material, such as copper-invar-copper, graphite-epoxy and aramid fiber-epoxy. The core constrains the expansion of the outer layers to match the expansion coefficient of ceramic chip carriers. A test for the presence of current flow between two or more interconnected points. A solder reflow oven for SMD interconnect that combines convection and infrared (IR) radiation heating. A PCB transporting system for moving assemblies to various processes. An edge conveyor supports the boards at opposite sides; the mesh conveyor fully supports the board; the secondary conveyor is located below the edge mechanism to catch fallen components during solder reflow. A chemical added to a resin to stimulate a final set or hardening. A separation of the layers of a substrate or between it and the conductive cladding. A branching of solder filaments (“whiskers”) at interconnect sites because of the presence of moisture or electrical bias, threatening an electrical short. Designing a product to be produced in the most efficient manner possible in terms of time, cost and resources, taking into consideration how the product will be processed, and using the existing skill base to achieve the highest yields possible. Disassembling solder parts to repair or replace by wicking, sucking, heat and pull, or solder extraction. A defect owing to inadequate cleaning via flux in which the solder coating recedes, leaving irregular material deposits. A measure of a material’s ability to store electrical energy, e.g., the basic quality of a capacitor. The bonding of a die to a substrate. Application of adhesives by pressurized (hydraulic or pneumatic) force for a specific period required to emit an “appropriate” amount of material through the needle and onto the target location. A chemical additive to water to improve particulate removability. Information for a PCB that explains the electromechanical design concept, types and quantities of parts and materials, special instructions, and revisions. A soldering defect in which a chip is drawn into an upright position representing a nonconnection. Also called tombstoning. A package intended for through-hole mounting that has two rows of leads extending at right angles from the base with standard spacing between leads and row. A wavesoldering process in which an initial “wave” of molten solder covers all PCB surfaces contacted. It is followed by a second laminar or “flat” wave that serves to “finish” the board by removing all solder bridges and icicles. Copper plating deposited from a plating solution as a result of a chemical reaction and without the application of an electrical current. Copper plating deposited from a plating solution by the application of an electrical current. A polymeric family of thermosetting resins generally used for adhering components to metallic or substrate surfaces. The alloy of two or more metals that has a lower melting point than either of its constituents. Eutectic alloys, when heated, transform directly from a solid to a liquid and do not show pasty regions. The bare-board manufacturing process, which begins after design but before assembly. Individual processes include layer lamination, metal addition/subtraction, drilling, plating, routing and cleaning. A specific mark along the edge of a PCB’s circuit pattern used by machine vision systems to confirm proper artwork orientation. (1) A radius or curvature imparted to inside meeting surfaces. (2) The concave junction formed by the solder between the footprint pad and the SMD lead or pad. A center-to-center lead distance of surface mount packages of 0.025″ or less. An IC package with gull wing or flat leads on two or four sides, with standard spacing between leads. Commonly, the lead pitches are at 0.05″ centers, but lower pitches also may be used. A leadless structure that is electrically and mechanically connected to the substrate via contact lands or solder bumps. A COB technology in which the silicon die is inverted and mounted directly to the PCB. Solder is deposited on the bonding pads in vacuum. When inverted, they make contact with the corresponding board lands and the die rests directly above the board surface. It provides the ultimate in densification. Also known as C4 (controlled collapse chip connection). A device on a stencil printing system that drags solder paste back to the starting point after the squeegee has made a printing stroke. Computer-controlled systems in which contacts are directed to specific nodes on a board to complete an electrical test. A nonpreferred term for land pattern. An electrical check of the entire assembly that simulates its intended operating environment. The temperature at which a polymer changes from a hard and relatively brittle condition to a viscous or rubbery condition. This transition generally occurs over a relatively narrow temperature range. It is not a phase transition. In this temperature range, many physical properties undergo significant and rapid changes, such as hardness, brittleness, thermal expansion and specific heat. A component or assembly already tested as functional to spec and used, via comparisons, to test similar units. Also known as a known good board. A lead configuration typically used on small outline packages where leads are bent outwardly. An end view of the package resembles a gull in flight. Compounds containing fluorine, chlorine, bromine, iodine or astatine. These materials may be part of a solder flux system acting as the activator. The residues are corrosive and must be removed. A chemical added to a thermosetting resin to assist its cure. A desoldering technique using a soldering iron equipped with a device that heats, grasps and pulls component leads to be removed. A test for high potential, generally conducted at 40 V or more. A process in which a solder-coated board is subjected to heated high-velocity air to blow the molten material from plated through-holes and to even-out solder thickness. An unacceptable solder point that protrudes out of a solder joint, but does not make contact with another conductor. A component-by-component test within a circuit for electrical function to verify proper placement and orientation. A method of PCB assembly permitting conveyorized board handling into and out of the component placement equipment. An interconnect method in which solder, generally preforms, is reflowed. A passive component, measured in Henrys, that causes changes in current flow to lag behind changes in voltage. Refers to a device’s number of interfaces (pins) to receive or transmit data. A combination of interconnected circuit elements inseparably associated on or within a continuous substrate. An electrical connection between points on a board, generally added after its fabrication. Minimizing inventory by supplying material and components directly to the manufacturing line just before incorporating them into the product. Semiconductor die that has been tested and is known to function to specification. A portion of a conductive pattern usually, but not exclusively, used for component connection, attachment or both. Component mounting sites located on the substrate that are intended for the interconnection of a compatible surface mount component. A ceramic, hermetically sealed IC package commonly used for military applications. The package has metallized castellations on four sides for interconnecting to the substrate. The dissolution of a metal coating, such as silver and gold, into liquid solder. Nickel barrier underplating is used to prevent leaching. Also known as scavenging. The solid formed conductors that extend from a component and serve as a mechanical and electrical connection that is readily formed to a desired configuration. The gull wing and J-lead are the most common. The distance between successive center of the leads of a component package. The lower the lead pitch, the smaller the package area for a given pin count in a package. Assurance that a production line sequence is under management and will produce reliable PCBs in compliance with requirements. The temperature at which a solder becomes molten (vs. solidus). The statistical average time interval, usually in hours, to be expected between operating unit failures. A surface mount device that is a round, cylindrical, passive component with a metallic cap termination located at each end. A circuit comprised of two or more silicon devices bonded directly to a substrate by wire bond, TAB or flip chip. A PCB that uses more than two layers for conductor routing. Internal layers are connected to the outer layers by way of plated via holes. A very low-residue soldering paste having a solids content between 2.1 and 2.8 percent by weight. A soldering process that uses a specially formulated solder paste that does not require the residues to be cleaned after solder processing. The form or configuration of a nonstandard component (e.g., various transformers, coils, large connectors) that may be difficult to handle by automatic placement equipment. An instrument that measures ionic residues on PCBs by immersing an assembly into a water/alcohol mixture having a known high resistivity, and by measuring and recording the drop in resistivity because of ionic residue taken over a specified period. A deaeration or gaseous adhesive emission on a PCB under reduced pressure or heat. The number of parts (passive/active components, connectors, etc.) placed on a PCB; expressed as low, medium or high. A portion of a conductive pattern usually, but not exclusively, used for the connection, attachment or both of components. Basic artwork processing equipment for producing master PCB patterns (usually actual size) on photographic film. 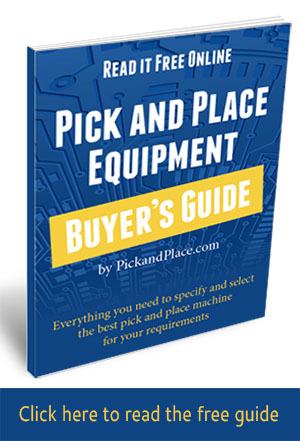 A programmable method of component placement using machines to automatically pick parts from a feeder, then move to a precise location on a PCB and place them in the correct site. IC package in which the input and output points are through-hole pins arranged in a grid pattern. The speed of a complete component placement cycle beginning with component/part pick-up, move to the placement site and the return to the feeding source. A component package that has J-leads on four sides with standard spacing between leads. That part of the solder reflow process at which a board is conditioned for peak temperatures via heating from ambient. Sheet material (e.g., glass fabric) impregnated with a resin cured to an intermediate stage (B-stage). The coating of a component’s leads or board pads with a material, usually solder, to improve overall solderability during assembly or repair. General term for a PCB fully assembled with all electrical, electromechanical and mechanical components. Equipment for high-reliability testing of PCBs, components and assemblies. Probing devices range from manual for lab use to low-volume test via computer-controlled systems. A term used for SMT packages with leads on all four sides. Most commonly used to describe packages with gull wing leads. Also known as a flat pack, but flat packs may have gull wing leads on either two or four sides. A process of joining metallic surfaces through the mass heating/cooling of preplaced solder paste between two surfaces (i.e., component leads and PCB pads). Restoring the functional capability of a defective. Coating material used to mask or protect selected areas of a pattern from the action of an etchant, solder or plating. Repetition of a manufacturing process to bring an assembly into compatibility with a spec or contract requirement. 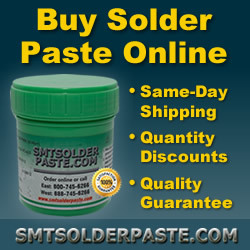 A term describing the viscosity and surface tension properties of solder pastes or adhesives. The mildest (and least effective) of solder fluxes, generally used in no-clean soldering. A variant, RMA (rosin mildly active), is the most used material for electrical interconnect. The angular displacement of a component’s axes as a result of centering mechanism inaccuracy. An aqueous solution of organic or inorganic base and additives for dispersing and removing rosin and water-soluble flux residues via chemical reaction as a detergent solution. A drawing (plan) that uses symbols to represent circuit patterns, including electrical connections, parts and functions. This cleaning technique involves a solvent cleaning step, hot water rinses and a drying cycle. A process in which both surface mount, held by adhesives, and through-hole components are reflow soldered. Describing the misalignment of a component or device to its proper mounting site. An IC surface mount package with two parallel rows of gull wing leads with standard spacing between leads and rows. A discrete semiconductor surface mount package that has two gull wing leads on one side of the package and one on the other. The return of a stencil to normal (flat plane) after its deflection by a squeegee across its surface. That part of the solder reflow process in which internal temperature differences between components are permitted to equalize (stabilization). A defect in which small spheres of solder separate from the main body of material forming the solder joint. Causes include excessive oxides or moisture in the solder paste. The spherical solder materials bonded to a passive or active device contact area that serves as connections to circuit pads. A homogeneous amalgam of solder particles or powder, flux, solvent and a gel or suspension agent for automated solder joint assembly. Special solder forms or configurations, frequently coming as stamped washers, spheres or formed wire, that generally contain a predetermined alloy and a flux core or coating. In assembly of plated through-hole components, the term refers to the soldered side of the PCB. With SMT, it means the secondary side generally is limited to passive chip parts. The ability of a conductor (lead, pad or trace) to be wetted (become solderable) to form a strong bond. A PCB processing technique in which all surfaces are covered by a plastic coating except those for connections to be soldered. The weight percentage of rosin (solids) in a flux formula. The temperature at which some components of the solder alloy begin to melt (liquidus). Any solution capable of dissolving a solute. In the electronics industry, aqueous, semi-aqueous and nonozone-depleting solvents are used. The removal of organic and inorganic soils using a blend of polar and nonpolar organic solvents. A rubber or metal blade used in stencil printing to wipe solder paste across the stencil’s face, forcing the material through the patterned apertures and onto the PCB. A metal sheet bearing a circuit pattern cut into the material. Common materials are stainless steel and brass. A test for surface insulation resistance, a measure in ohms of the material’s electrical resistance between conductors. A registered service mark of North American Philips Corp. (Assembleon) to denote resistors, capacitors, SOICs and SOTs. A method of assembling PCBs or hybrid circuits in which components are mounted onto the surface rather than inserted into through-holes. A chemical added to water to lower its surface tension to improve wetting for cleaning. The process of bonding the IC die to patterned inner leads on plastic tape and, in a subsequent operation, positioning and bonding the outer leads to the surface of the substrate. Method of housing parts in separate cavities in a long continuous strip. The cavities are covered with a plastic sheet to facilitate winding the strip around a reel for component presentation or “feeding” to automated placement equipment. A test pattern as an integral part of a PCB on which nondestructive electrical checks may be made to evaluate an assembly. A drilled or punched hole through a substrate, which is metallized to electrically connect the board’s two sides and inner layers of circuitry. Holes on a PCB or panel of boards for accurate positioning to facilitate handling and component placement. A parts packaging method in which parts are inserted back-to-back in a conductive (anti-static) plastic tube or stick. Indexing for feeding to the placement tool may be accomplished by vibration or spring action. Designating PCB assemblies: (I) SMDs mounted on one or both sides of the board; (II) mixed technology having leaded (through-hole) parts mounted on the primary side and SMDs on one or both sides; and (III) mixed technology featuring passive SMDs on the secondary side and leaded components mounted to the primary side. A center-to-center lead distance of surface mount packages of 0.4 mm or less. An independent testing organization that evaluates performance and safety of electrical equipment. A term applied to any component or assembly being tested by automatic testing equipment. A parts handling instrument through which a vacuum force secures and holds them for placement. A mass soldering technique in which the high-temperature vapor of a hydrocarbon, condensing on the solder joints of a PCB, is the heat-transfer medium. A process in which the PCB is sent through a sealed chamber of heated vaporized inert fluorocarbon that condenses on the joint, causing the solder to reflow. A plated through-hole connecting two or more conductor layers of a multilayer printed board. There is no intention to insert a component lead inside a via hole. The absence of material in a localized area. A process of joining metallic surfaces by passing them through a wave of continuously circulating molten solder. SMDs are held in place during wave soldering with adhesives and are mounted on the secondary side (wave side) of the PCB. In soldering, flux reduces the surface tension of the metal to achieve the bonding of a relatively uniform, smooth film of solder to the surface of the metal. Absorption of liquid by capillary action along the fibers of the base metal. The ratio of good assemblies at the end of processing to the number initially entered.